A vital part of ministry and discipleship is following up with students after an event. In the final part of this three-part series, I’ve asked Daryl Reininger, Youth Pastor at Henderson Hills Baptist Church in Oklahoma for 10 years, his thoughts on this important topic. Ben: Why is the follow-up process such an important part of planning an event? Daryl: The follow-up process is important because that is where the process of discipleship begins. Hebrews 10:24 gives us the command to find ways to stir one another up or how to motivate each other to love and good deeds. The passage reminds us that discipleship is not a one-time thing, but rather it’s an ongoing process. If we are truly striving to make disciples and not just converts, then the follow-up process is absolutely essential to ministry. 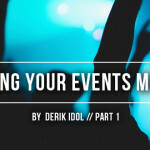 Ben: When do you begin to think through the follow up process that you will use after the event? Daryl: We begin thinking through the follow-up process about a month before the event. I say that because the follow-up process is generally a super complex process. The bigger issue with follow up comes with how long you continue to chase someone intentionally. Ben: What are you trying to accomplish in your post-event follow up process? Daryl: The main thing that we are trying to accomplish is to help continue to motivate or stir up the student in what God is doing in their life. Another major component is to get the family involved in the process of discipleship. The reality is that our staff and volunteers do not live with these students. If we can get the family unit to motivate one another to love and good deeds — it’s truly a daily win. Otherwise, it’s a weekly win in the life of students who are called to carry their cross daily. Lastly, we want to help students make sure that they have a complete and clear understanding of their own decision. What a tragedy for us to “count” a student as being saved, when in reality they still have a distorted view of what salvation or being born again is. What a tragedy for a student to express a desire to be baptized, but lack a true understanding of what baptism is or why we do it. Ben: How do you know when your process has been successful? Daryl: All you can do in follow up is be faithful. For example, a student expresses that they want accountability in their life. So you call them twice a week for four weeks and they don’t respond. To us this is successful follow up. We can’t force a student into accountability we can only offer for them to be accountable. You are finished when you and your team can look at each other and know that you have given the effort you should to contact students and families after an event. The reality is that follow up is on us and our teams, but the follow through is on the student and the student’s family. We can contact them and offer time, effort, and support; but it is the student and family that must receive that offer. 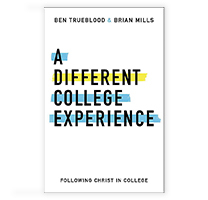 This is a tough thing, but there is a point when you have to realize that these students belong to the Lord, and that the Holy Spirit is going to continue to pursue and convict them whether we connect with them or not. Ben: Are there any parts of the process that you have used in the past that didn’t seem to work? 1. Not having a process. 2. Only communicating in one mode of communication. You should use phone, email, social media, and campus ministry. 3. Thinking that I, as the student pastor, have to follow up with all the decisions from an event (not delegating). 4. Not including parents in the follow-up process. 5. Not following up with student pastors from other churches about one of their students who responded at one of our events. Ben: What has worked really well? 1. Using staff, interns, and volunteers to help with the follow-up process. This allows you to be quicker, as well as more effective. 2. Give your team deadlines to follow up in multiple forms and have them make notes on how that follow up went in whatever type of database you are using. 3. Parents. 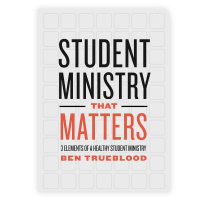 Parents are way more reliable than teenagers, so when you involve them it brings a little more certainty that that student is going to be ministered to. 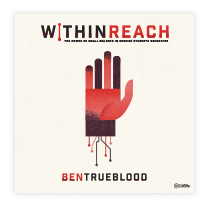 Ben: How has your own event follow-up process helped you in your student ministry? Daryl: One way is that we are actually seeing discipleship take place. Our ministry is no longer defined by kids filling out a decision card, but having no fruit a month later. Also, it has helped our ministry partner with parents more than we ever have. To be clear we still have a long way to go in our attempt to follow up with people after events. We have not arrived in this area, but it is an area that we value and try to give our best effort in. Daryl Reininger is Youth Pastor at Henderson Hills Baptist Church in Edmond, Oklahoma.